Mother's day is just around the corner, the school year is coming to a close, and inevitably the warmer weather is accompanied by invitations to backyard barbecues and pool parties over the next several months. 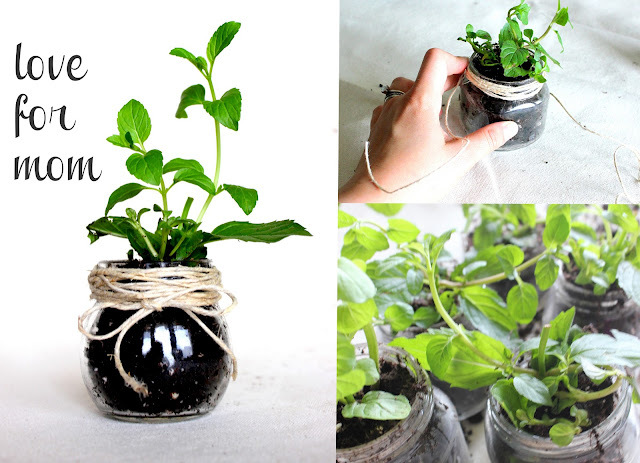 These mini plants are the perfect way to say thank you, for any occasion. I brought one to a Kentucky Derby party this weekend, four are heading to my son's infant room teachers at daycare (Behr transitioned to the toddler room...not ready to talk about it). These are so easy, I might even make a few more next weekend just to have on hand. Oh, and I need to make more for the grandmothers and great-grandmothers too! + Choose a plant that is relatively compact. I chose mint, but considered thyme and rosemary. + Be sure to lay down a drop cloth or newspaper as you will get dirt everywhere. + No need for garden tools, but you will get your hands dirty. 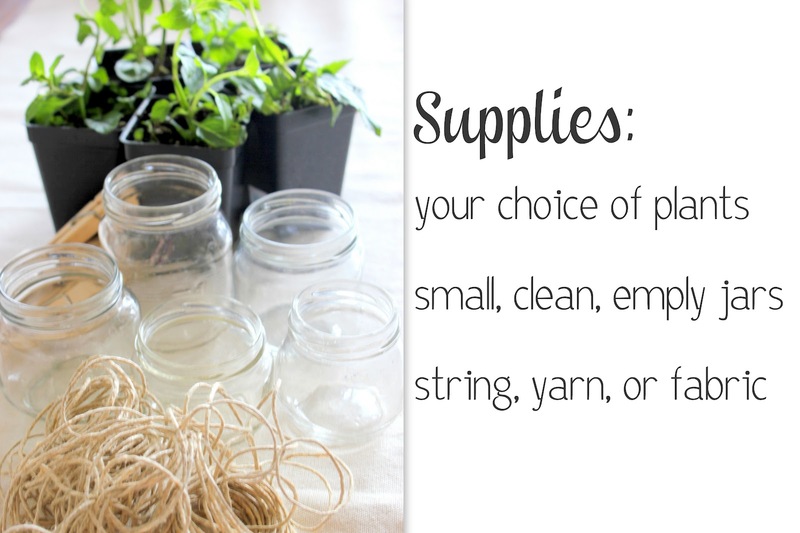 + To finish the jars, cut a long piece of string, yarn, or fabric, enough to wrap about ten times around the mouth of the jar. Be sure to leave extra length from the start to be able to tie a bow and the end. Very cute, not only as a gift, but as a herb garden for myself! And a fun activity for little hands. 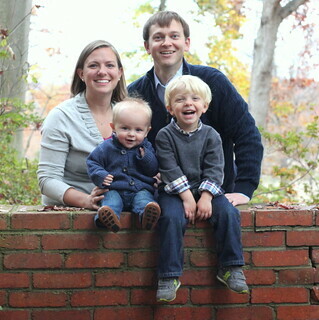 It'd be too obvious if I printed this off and left it in Everett's crib, wouldn't it? If Everett is anything like Behr, it wouldn't last more than a hot minute! Perhaps you could sneak a printout in Mike's golf bag?